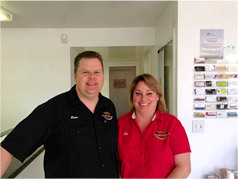 Timmons Vehicle Repair has been a family owned and operated business since 1996. Our mission is quality out the door each and every time. We strive to always put our best foot forward and to give our customers 110%, 100% of the time. Our customers are like an extended family to us. We care about how our customers are doing, as well as how their vehicles are running. We treat their vehicles the same as if they were our own vehicles. We take pride in our workmanship. We strongly feel that proper and consistent preventative maintenance is the key to the longevity of a good running vehicle. We employ ASE certified technicians and always expect top quality work from them. We always appreciate all the referrals that our customers, friends and family send our way. We fully believe in quality care rather than just quantity. We always strive to do our best. Call us or stop on by today for a free estimate and consultation.